Webcam "Webcam Riederalp (Wallis, Aletschgletscher) Riederalp Webcam"
In Riederalp, there is the Webcam Riederalp (Wallis, Aletschgletscher) Riederalp with motif: Dorf. The webcam Riederalp is regularly updated with new pictures. 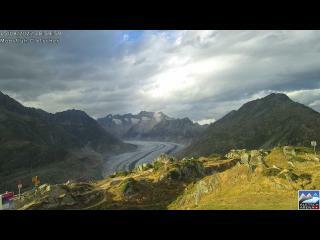 Track the current weather in Riederalp Wallis with the webcam RIEDERALP. Riederalp is by cable car Mörel - Riederalp accessible - Greich - Riederalp or the 6-seater gondola Mörel - Ried-Mörel. The current live Weather for Riederalp is provided by netatmo.